You hear about a new restaurant called The Gadarene Swine, you’re immediately thinking borderline-obscene pork overload. You’d better keep reading before you visit. Because upon arrival, you’ll be offered a welcome drink of mead to enjoy on the patio. Then you’ll be shown to your table inside, topped with “placemats” that are slices of tree trunks. Yeah. We did say woodsy earlier. 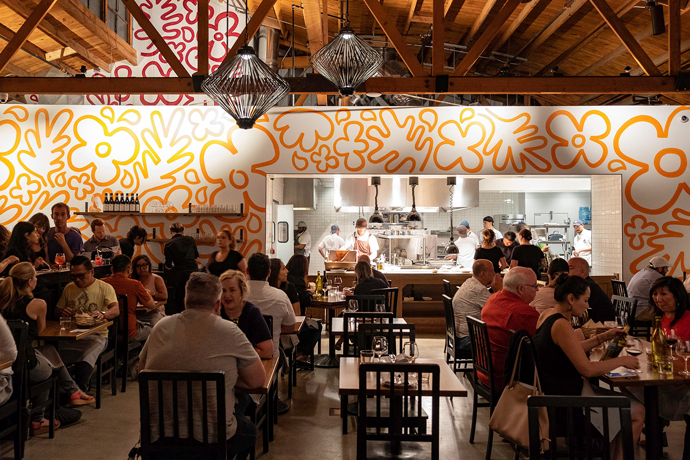 Or if you’re up for a whole big thing, reserve seats at the marble chef’s counter, where he’ll personally prepare you a procession of 10 intricate vegetable dishes like avocado mousse and puffed amaranth-stuffed Chinese eggplant. As if you’d stuff eggplant with anything else.